As usual, slightly leaner pickings in the holiday month of December, but take a look through my suggestions below and you may find one or more essential reads before the end of this year. 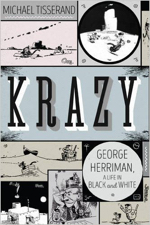 My personal PG Tip has to be Krazy, the substantial biography by Michael Tisserand of George Herriman, the genius behind Krazy Kat and other early American newspaper strip gems. At 560 pages, there’s never been such an in-depth life-story of this fascinating cartoonist. 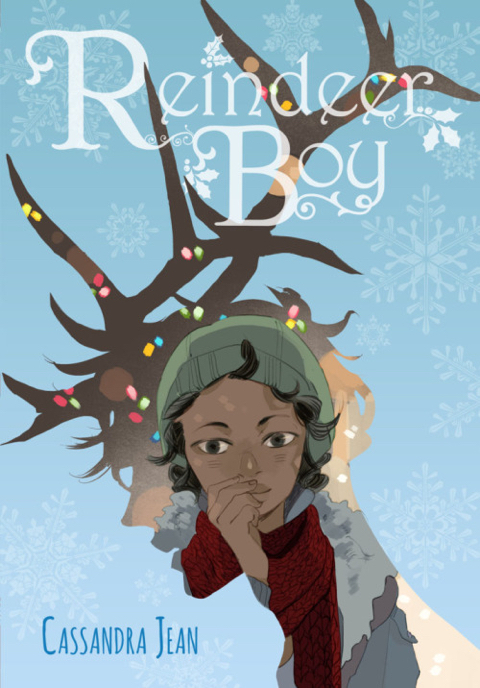 And if you’re looking for some Christmas-tinged manga-influenced fantasy, I’m drawn to Cassandra Jean’s Reindeer Boy. Happy Holiday Comics-Reading! This stunningly illustrated graphic novel follows the lives of Natalia and Peter, two young people who found themselves at the centre of a revolutionary storm. In 1917, Russian women workers poured out of their factories on International Women’s Day and sparked a revolution. Defying Cossacks armed with whips, they took control of the streets and pelted other factories with stones and snowballs, calling on other workers to join them. The government brought in the troops to restore order. But soldiers’ anger at the war, at food shortages and at the injustice of a rotten system exploded on the streets of St Petersburg. They mutinied and joined the marchers. That is where Natalia and Peter’s story begins. We know where it ends: in weeks the Tsar was gone, followed a few months later by the government that replaced him. By October, workers had taken control. But what happens in that momentous year changed those who lived it forever and has inspired millions since. 100pgs colour paperback. Virtuoso Chris Ware (b. 1967) has achieved some noteworthy firsts for comics. The Guardian First Book Award for Jimmy Corrigan: The Smartest Kid on Earth was the first major UK literary prize awarded for a graphic novel. In 2002 Ware was the first cartoonist included in the Whitney Biennial. Like Art Spiegelman or Alison Bechdel, Ware thus stands out as an important crossover artist who has made the wider public aware of comics as literature. His regular New Yorker covers give him a central place in our national cultural conversation. Since the earliest issues of ACME Novelty Library in the 1990s, cartoonist peers have acclaimed Ware’s distinctive, meticulous visual style and technical innovations to the medium. Ware also remains a literary author of the highest calibre, spending many years to create thematically complex graphic masterworks such as Building Stories and the ongoing Rusty Brown. 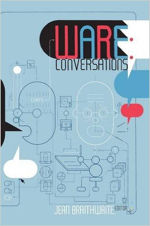 Editor Jean Braithwaite compiles interviews displaying both Ware’s erudition and his quirky self-deprecation. They span Ware’s career from 1993 to 2015, creating a time-lapse portrait of the artist as he matures. Several of the earliest talks are reprinted from zines now extremely difficult to locate. Braithwaite has selected the best broadcasts and podcasts featuring the interview-shy Ware for this volume, including new transcriptions. An interview with Marnie Ware from 2000 makes for a delightful change of pace, as she offers a generous, supremely lucid attitude toward her husband and his work. Candidly and humorously, she considers married life with a cartoonist in the house. Brand-new interviews with both Chris and Marnie Ware conclude the volume. 256pg B&W hardback. 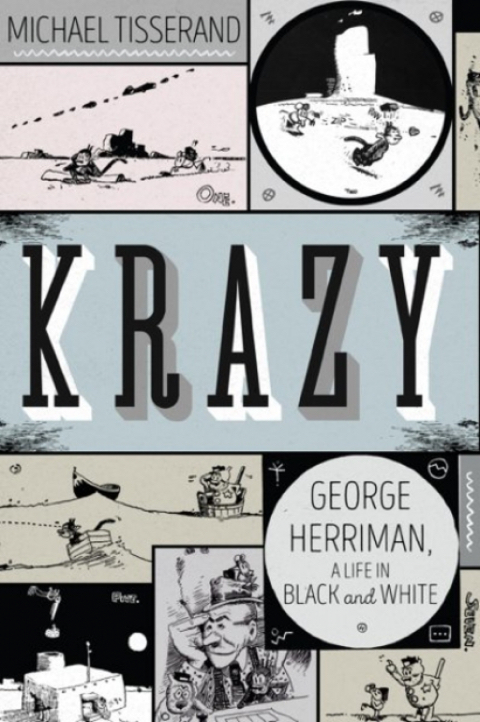 In the tradition of Schulz and Peanuts, an epic and revelatory biography of Krazy Kat creator George Herriman that explores the turbulent time and place from which he emerged, and the deep secret he explored through his art. The creator of the greatest comic strip in history finally gets his due in an eye-opening biography that lays bare the truth about his art, his heritage, and his life on America’s colour line. A native of nineteenth-century New Orleans, George Herriman came of age as an illustrator, journalist, and cartoonist in the boomtown of Los Angeles and the wild metropolis of New York. Appearing in the biggest newspapers of the early twentieth century, including those owned by William Randolph Hearst, Herriman’s Krazy Kat cartoons quickly propelled him to fame. Although fitfully popular with readers of the period, his work has been widely credited with elevating cartoons from daily amusements to anarchic art. Herriman used his work to explore the human condition, creating a modernist fantasia that was inspired by the landscapes he discovered in his travels, from chaotic urban life to the Beckett-like desert vistas of the Southwest. Yet underlying his own life, and often emerging from the contours of his very public art, was a very private secret: known as “the Greek” for his swarthy complexion and curly hair, Herriman was actually African American, born to a prominent Creole family that hid its racial identity in the dangerous days of Reconstruction. 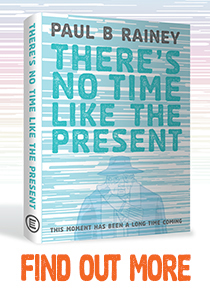 Drawing on exhaustive original research into Herriman’s family history, interviews with surviving friends and family, and deep analysis of the artist’s work and surviving written records, Michael Tisserand brings this little-understood figure to vivid life, paying homage to a visionary artist who helped shape modern culture. 560pgs B&W hardcover. A masterful adaptation of the timeless literary classic, faithfully and beautifully rendered by an award-winning artist. In striking black-and-white illustrations, Chabouté retells the story of the Great American Novel. Captain Ahab strikes out on a voyage, obsessively seeking revenge on the great white whale that took his leg. This hardcover edition collects both of the Vents d’Ouest volumes released in France, printed in English for the first time. 256pgs B&W hardcover. 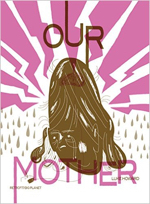 Our Mother is a comedy about growing up with a parent who has an anxiety disorder. Luke Howard mixes genres to tell an utterly open personal reflection about his childhood and his relationship with his mother. Jumping between noir, giant robots, fantasy adventure, and even scientific animal research, Luke brings a very intimate story to life with humor and cartooning experimentation. 40pgs part-colour paperback. Quincy has the same dream every year on Christmas Eve, of finding a little boy holding a special gift for her under the tree. And every Christmas morning, she’s awoken to find a gift wrapped in tinfoil with her name on it… When school resumes after the winter break, Quincy’s class discovers they have an unusual new transfer student named Cupid. Ridiculously cute and friendly, the new boy has everyone both enamoured and confused. Those antlers can’t be real…can they?? With Cupid having seemingly set his sights on Quincy, it seems she’ll be having a memorable year indeed. 300pgs B&W paperback. SP4RX is the story of mankind clawing for survival. Set in a future where a class system has emerged, the world is divided into four levels, with the elite ruling from the extravagant top level. SP4RX, a young hacker who lives off grid, hacks into corporations and sells stolen data to wealthy buyers on the black market – just your average thief. Mega corporation Structus Industries introduces a welfare programme called the “Elpis Programme”, which allows the working class to apply for Cybernetic implants to make workers more efficient. On the surface, it seems like a program to empower the poor and allow them to rise to the ranks of the elite. 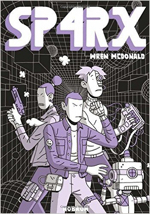 But SP4RX soon discovers all is not as it seems… SP4RX and Structus are set on a collision course with the fate of humanity at stake in Wren McDonald’s latest sci-fi tale of survival and corruption. 120pgs paperback. The Attack opens with Amin Jaafari, an Israeli surgeon of Palestinian origin, trying to save the casualties of a suicide bombing. A day after the deadly attack, an Israeli police officer informs Jaafari that the suicide bomber was his wife, Sihem. Believing her to be on an overnight trip, he completely refuses to accept the accusation. They were leading an ideal life in Tel Aviv, moving among both Arab and Israeli society with ease, or so Jaafari thought. But then he receives a posthumous message from Sihem confirming the worst. Desperate to understand how he missed even the slightest clue, Jaafari leaves the relative security of Israel and enters the Palestinian territories to find the fanatics who recruited her. In search of the truth, he confronts a reality that he had refused to see. This book was first published as the French novel L’Attentat by Yasmina Khadra in 2005. 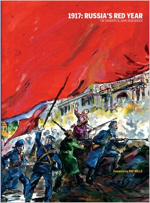 One year later, L’Attentat was translated into English as The Attack and it garnered international praise: “A fierce rendering of geopolitical tensions and a plea for peace” (The New York Times); “Audaciously conceived, courageously important [and] urgently humane” (The Los Angeles Times). It was translated into more than 20 languages and sold over 600,000 copies. Then in 2012, the original French book went into graphic form with the release of L’Attentat by Loïc Dauvillier and Glen Chaprion. This has now been translated into English by Ivanka Hahnenberger—the book featured here. The Attack is a poignant tragedy that mixes the intimacy of grief and betrayal with the futility of the Israeli-Palestinian conflict. It makes no judgment and takes no side. Chapron’s masterful illustrations and astute text are wrought with the despair and hope of Jaafari’s search. The raw humanity of the story raises more questions than can be answered. 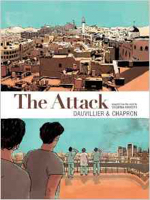 Timely and affecting, The Attack is an essential purchase. 152pgs colour hardcover. The Girl From the Other Side: Siuil, a Run is an all-new manga series that pulls readers into a magical and enchanting tale about a young girl and her demonic guardian. In a world split between the Inside and the Outside, those living in both realms are told never to cross over to the other side, lest they be cursed. A young girl named Shiva lives on the other side, in a vacant village with a demonic guardian known only as “Teacher.” Although the two are forbidden to touch, they seem to share a bond that transcends their disparate appearances. But when Shiva leaves Teacher’s care to seek out her grandmother, the secret behind her mysterious living arrangement comes to light. 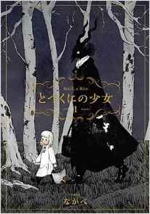 A haunting story of love and fantastical creatures, The Girl From the Other Side: Siuil, a Run is a gorgeously-illustrated ongoing manga series that will appeal to fans of The Ancient Magus’ Bride. Each volume in the series will be released with a beautifully-textured matte finish cover and will include at least one full-colour insert. 180pgs B&W paperback. The complete classic horror series, now available in a single deluxe volume. Murdered again and again, one girl always comes back for more… Tomie Kawakami is a femme fatale with long black hair and a beauty mark just under her left eye. She can seduce nearly any man, and drive them to murder as well, even though the victim is often Tomie herself. While one lover seeks to keep her for himself, another grows terrified of the immortal succubus. 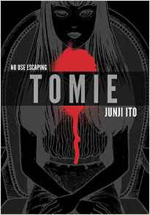 But soon they realise that no matter how many times they kill her, the world will never be free of Tomie. 752pgs B&W hardcover. There are metal-heads, cat lovers, and bears (oh my!) in Luce’s sequel to his successful graphic novel debut. 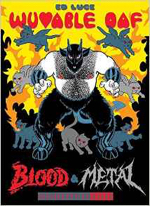 Oaf, a wuvable Bay Area bear, searches for love in the local metal and wrestling scenes in Blood and Metal, which collects a number of short stories and features tales of Oaf ’s formative childhood years, and much more. 100pgs colour hardcover.